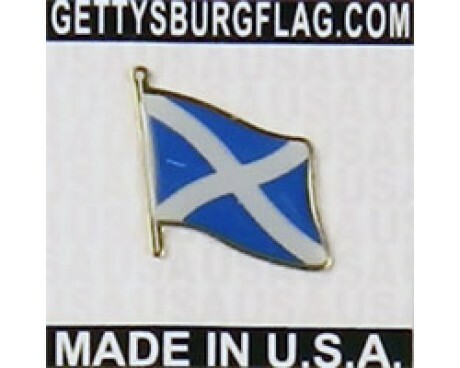 Gettysburg Flag Works offers you the highest quality Scottish royal banner on the market. Constructed of the finest grade all weather nylon, our Scottish royal banner features bright, beautiful colors that represent the Scottish folk and their long and storied Celtic roots. 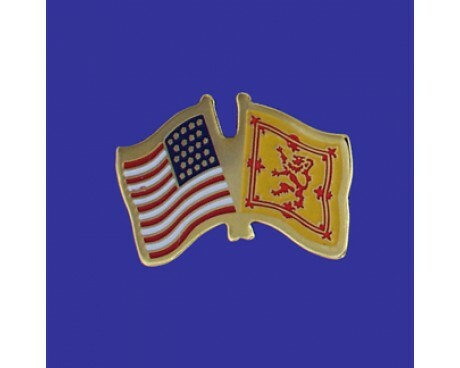 Scottish Americans are very proud of their their heritage and Scottish royal banner can express that pride to the world uniquely well. 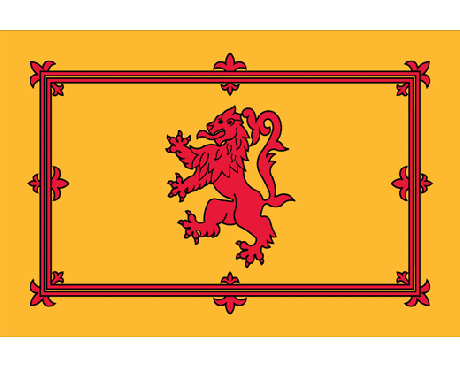 With its grandiose lion crouched in fighting stance, rising up on its haunches, the Scottish royal banner is a sight to behold, instantly hearkening back to medieval times. The Scottish royal banner differs from the traditional Scottish St. Andrew's Cross, in that the royal banner is meant specifically to represent the Scottish Royal Family and its descendants. Officially the Scottish royal banner is meant to fly only at residences or ceremonies involving the royal family. 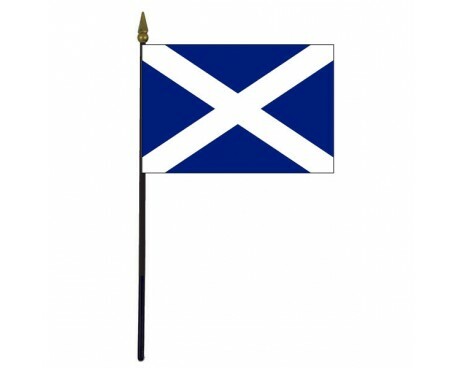 Unofficially it has been adopted as an ensign by many Scots who wish to celebrate their unique heritage and history. We offer a superb blend of quality and value - get your Scottish royal banner from Gettysburg Flag Works today! 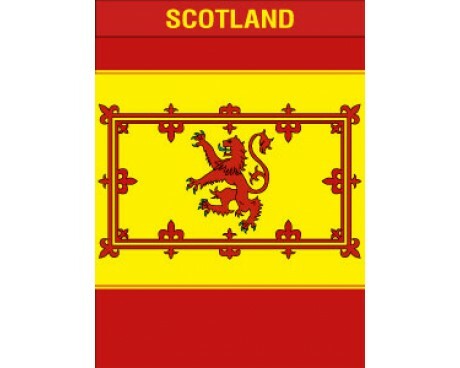 According to Scottish law, this flag should only be displayed by the King or Queen of Scots (technically there hasn't been a King or Queen of Scots since 1707). Despite this, the banner is commonly used as a second national flag of Scotland. 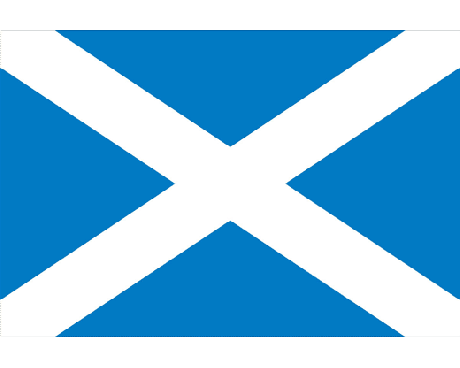 The official flag of Scotland is the Cross of St. Andrew. The exact origin of the use of the lion rampant is unknown. Some say that the lion was used by King Fergus I in 300 BC on the armorial ensign of Scotland. William the Lion (1143-1214) is generally credited with adopting the lion symbol, although the earliest evidence of the lion rampant being used is in the seal of his son, Alexander II, dating from 1222. Show off your Scottish royal banner in style! 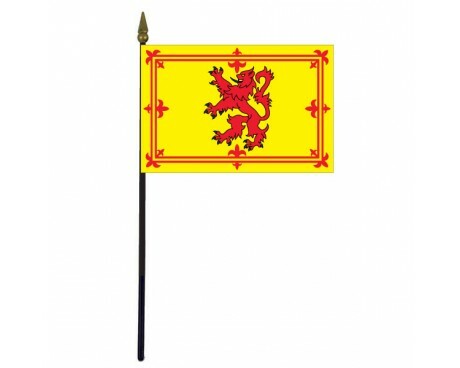 We have multiple styles of brackets and flagpoles to choose from so that the royal standard of Scotland always looks its best. Want to make a bigger statement with your royal banner? Consider getting a quote from one of our experts for an in-ground 25’ flagpole, which look fantastic in front of the house or workplace. If boating is a hobby you will love what we offer. We design and make a wide range of boat and nautical flags, including the Scottish naval ensigns. We can make them in any size, from the smaller 12x18” boat size or a standard 3x5’. Enquire today about your specialty Scottish royal banner! 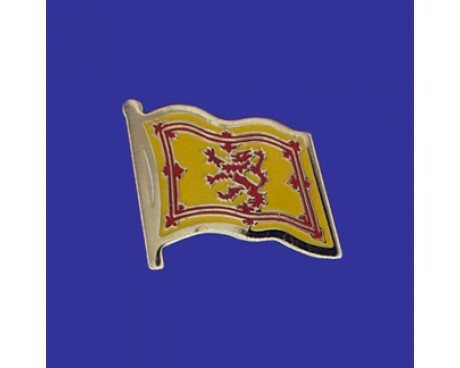 Customers who bought Scottish royal banner are also interested in our custom Heirloom Collection. 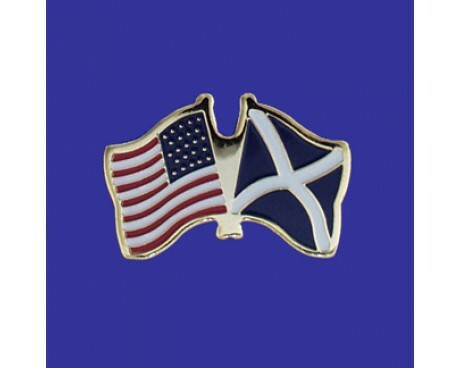 Many Scotch Americans trace their roots back hundreds of years! Show off your family crest in style by having us print or sew it onto a banner for you! Ask us today for details.